Defend the kingdom with the Knight with Dragon. Play with this set on its own or combine it with any other Playmobil set. 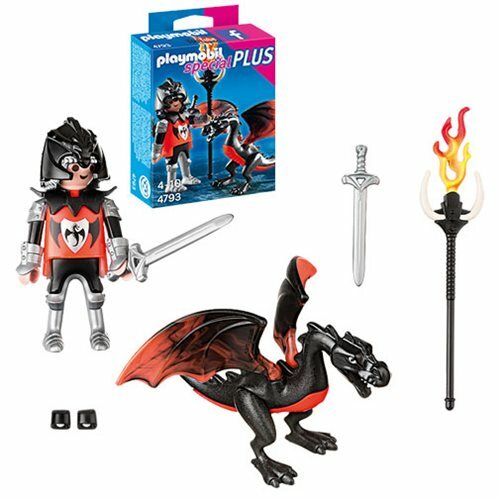 Set includes armored knight, red and black dragon, swords, and flaming staff. Ages 4-10.